My hair's naturally straight (aside from the odd, random kink when left to dry naturally), but it's fluffy and a bit frizzy, so I like to use straighteners to get it closer to that perfect sleek and smooth look. The new Babyliss Diamond Straighteners promise shiny, frizz-free, flawless hair, which is exactly what I'm after, so I couldn't resist giving them a go. 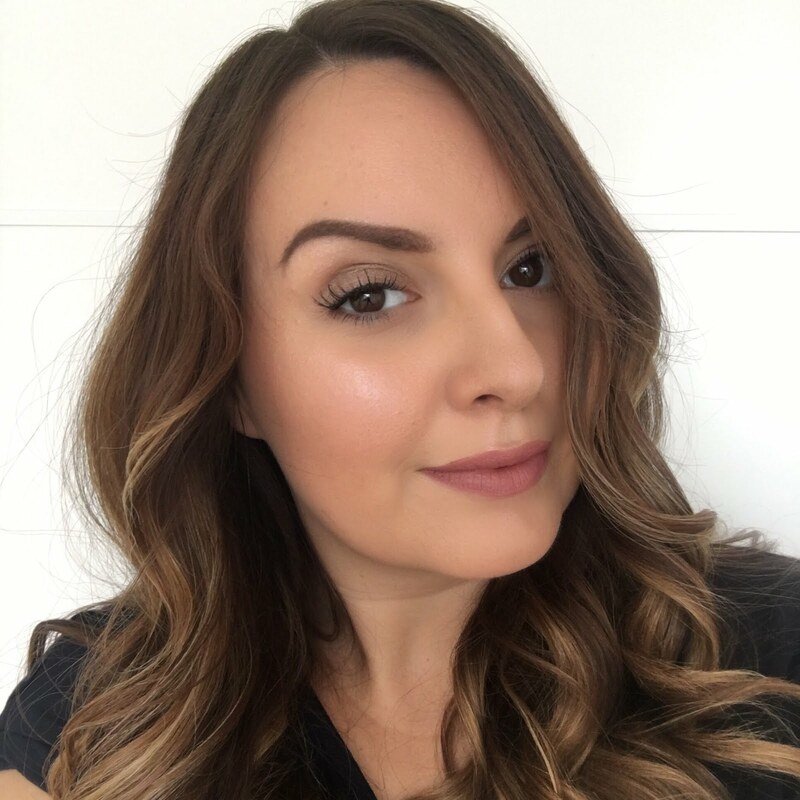 I've used ghds for years, so I don't usually stray, and to be honest as a blogger, I don't pay much attention to other straightener brand launches. The main difference this time was the lure of the promised super sleek and shiny hair. Oh, and I heard that Paul from Percy and Reed is quoted to have said these are the best straighteners he's ever used! I had the pleasure of meeting Paul and chatting hair with him not so long ago, and I really liked his style of hairdressing and the tips he gave me, so I thought well, if he loves them, I need to know why! The Babyliss Diamond Straightener has a slim and sleek design - the plates are a little narrower and slimmer than my ghds (I have a model that's a few years old now) but a bit longer, and the edges of the straighteners are more rounded and curved. The plates are ceramic and diamond infused with active ionic conditioners to make your hair really smooth, and to eliminate the frizz factor. They have three heat settings, and go all the way up to 235 degrees - I've been using them on the highest setting, together with lashings of heat protectant of course. They heat up really fast (in 15 seconds), and stay at that heat constantly while they're in use. They also have the same shut off function as my ghds (so I don't have to worry about burning my house down if I forget to switch them off) and the same long, swivel cord which I love as it just makes styling so much easier. I've been using these for the past week and a bit whilst my ghds have been gathering dust. Yep, I've been using these every day, because they give me much better results, and nobody's more surprised by that than me. I have the straightest, shiniest hair I think I've ever had, and I've not changed anything else about my hair care or styling routine - it's all down to the Babyliss Diamond Straightener. 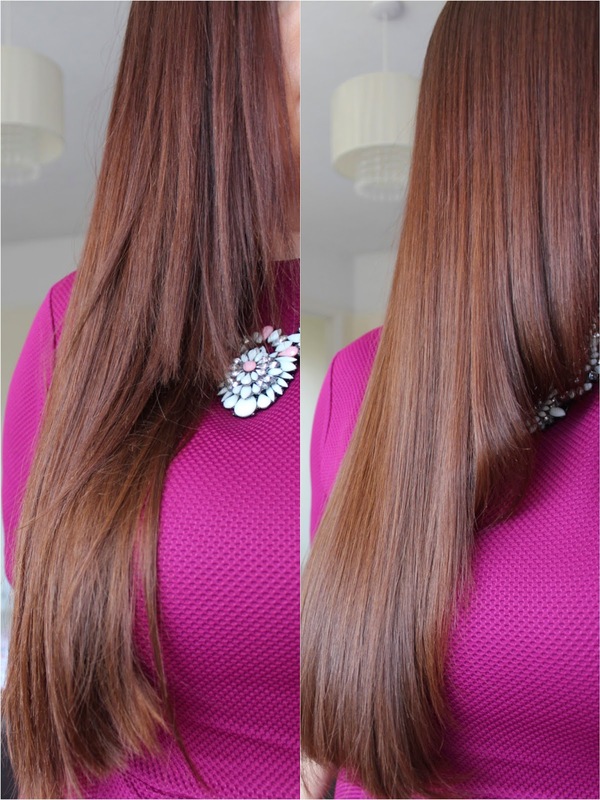 Have a look at my little before and after below, and on the right, you can actually see the shine on my hair - amazing! I'm completely in love with these straighteners - most of all because of the shine they give me, but also the amazing sleekness and softness. On top of that, they work really quickly, and on fairly chunky bits of hair! I'm not blessed with patience when it comes to doing my hair, so I don't really do the whole sectioning business, working on small pieces and going over each section several times - I really haven't got time for that. 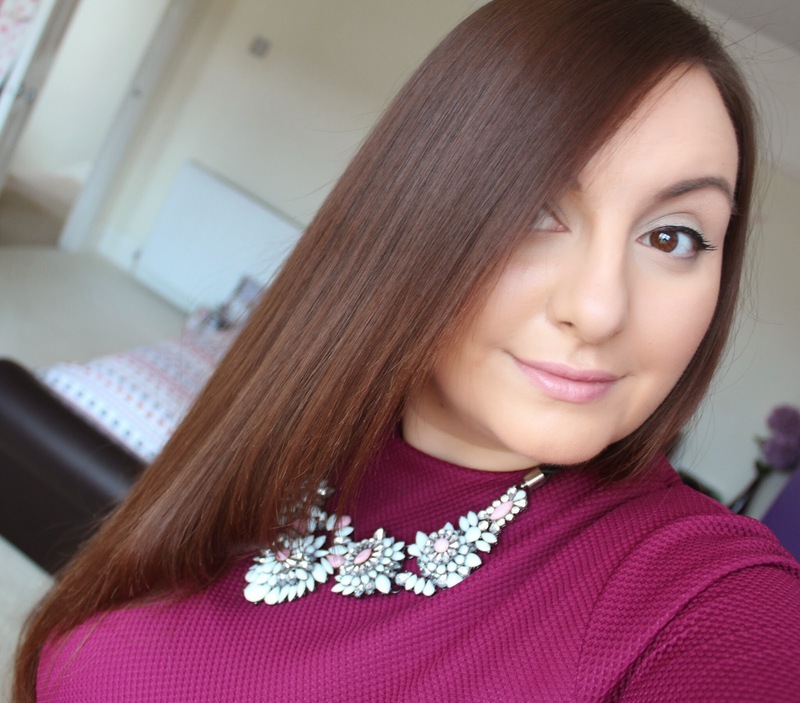 But with these straighteners, it really is effortless - I've been using my usual haphazard grab and glide method of straightening and the results are this good. I'm converted! The Babyliss Diamond Straightener costs £80 but is currently on offer at just £40 and at that price they're honestly worth every penny in my opinion. You can buy them from Babyliss, Argos, Boots and Very.co.uk and they also come complete with a heatproof mat which doubles as a travel pouch. What are your favourite straighteners? I have never used straighteners but a lot of friends swear by them but I'm definitely forwarding your post on to them to check these out. I have Babyliss tongs and love them so I'm very tempted myself to try these out. Wow, your hair looks great! So soft and shiny, lol. My straightener is a ceramic one from ISO. It was inexpensive but I've had it for seven years, and it's still going strong. This is something worth the try as you can see in the results of it. And..its on great deal as well. This is something worth checking out!